Michael Bauman is an Analyst of TM Capital Corp. 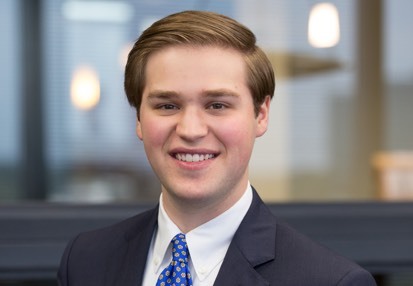 Prior to joining the firm, Michael completed a summer internship with TM Capital’s Atlanta office, as well as spent two summers working at Merrill Lynch in Washington, D.C.
Michael graduated from Emory University’s Goizueta Business School and holds a BBA with concentrations in Finance and Strategy & Management Consulting. Michael lives in the Midtown area of Atlanta. Outside of work, he is an avid fly-fisherman and self-proclaimed BBQ pitmaster.